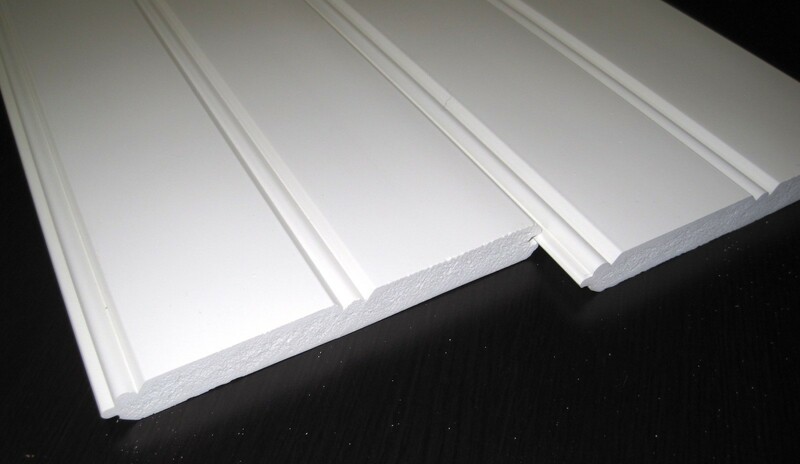 Sample Pack of PVC Planks and PVC Sheets used for Exterior applications. We offer free shipping for this sample pack. Within major cities in Canada and the Lower 48 States. 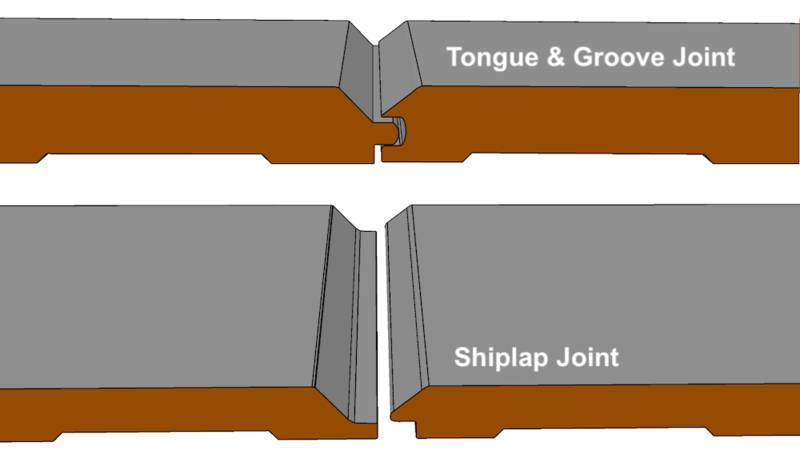 -Two Extruded Tongue & Groove Beaded Planks, reversible with the V-Groove joint on the other side. -Two Tongue & Groove, Blind Nail, PVC Planks showing a V-Groove on one side and a Nickel Gap joint on the reverse. 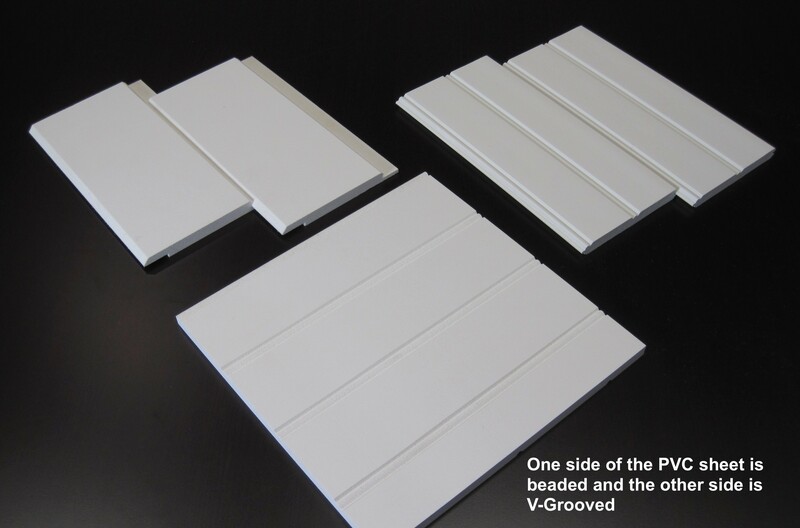 -As for sheets goods, we will include a small panel of PVC carved with V-Groove on one side and Beaded on the other side. 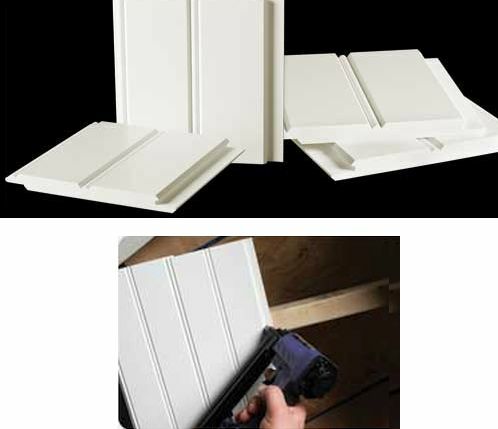 As we groove these panels in-house you may order any panel size, sheet size in any thickness, and groove spacing.  If you do not see a specific item that you are looking for listed, contact us, at no additional charge we can send other related samples.